Today is Earth Day, but it’s one of the most confused and misguided celebratory days of the year. The UN refers to this day as the “International Mother Earth Day,” but what is it we’re supposed to celebrate? Like a lot of people, I think of Earth Day as Earth’s Birthday. I know it’s “Earth Day,” not “Earth’s Birthday,” but it’s the only day once a year, every year that we are all supposed to celebrate Earth – just like a birthday. Imagine, then, a surprise birthday – a room filled with millions of people suppressing giggles of excitement as Earth walks in innocently and, SURPRISE! Happy Birthday, Earth! After Earth calms down from the shock of having so many people show up for her birthday, she’d immediately be suspicious: where’s the cake? Where are all the presents? Here in the U.S. there will be Earth Day Yoga in Midlothian, Texas; a “Teens Turning Green” town hall event at Temple University, Pennsylvania; an Earth Day Interfaith Gathering at a Lutheran Church in California; an Energize Democracy Climate Justice Rally in Albany, New York; a Recycled Art Contest at Vincennes University, Indiana; and a worm composting for Earth Day celebration by the Virginia Cooperative Extension which they liken to making Earth a birthday cake. So instead of a huge cake with 4.6 billion candles on it, there’s a gigantic mound of compost full of dinner waste and worms in Virginia, maybe with a methane flame to serve as a candle. Happy Birthday, Earth! Earth isn’t a person, but it seems no matter how robust her constitution, I imagine she would cry. Earth Day is like a birthday in which everyone individually proclaims how they won’t pollute, poison, burn, fracture, abrade, drain, or otherwise abuse you. Don’t get me wrong, these are important things to do. But Earth Day seems to be mostly about us not doing what we know we ought not to do in the first place. How did Earth Day come to be about us rather than about Earth? Actually, Earth Day was never about Earth; it was a celebration of environment and peace. Earth Day, first declared on 21 March 1969, was the brainchild of John McConnell, a celebrated peace activist, who recognized that peace, progress, and prosperity depended on balanced ecological processes. He convinced the UN Secretary, U Thant, and other leading figures, to declare the northern vernal equinox Earth Day. McConnell’s Earth Day Proclamation came later, itself dated 21 June in 1970, which missed the equinox by three months. Thus far, the Proclamation has been signed by 36 people over several years, including John Denver (the famous singer), Margaret Meade (the famous anthropologist), Mikhail Gorbachev (the famous Russian), Yasir Arafat (the famous Palestinian), Isaac Asimov (the famous sci-fi writer), Buzz Aldrin (the famous astronaut), and, of course, U Thant and McConnell.Linking Earth Day to the equinox was a bad idea, however, because the equinox isn’t a day, it’s a specific time. It’s an infinitesimal moment when the Earth, spinning at 1,656 km per hour at the equator, lines up perpendicularly with the sun flying around it at 108,000 km per second. For that microsecond, the north and south are equally illuminated, and day will be roughly as long as night. The equinox also occurs twice a year, and to choose the northern vernal equinox seems to only further the notion of Northern-Hemisphere hegemony. The Proclamation, however, in spite of its title, isn’t about Earth. In fact, it begins, “By the people of Earth for the People of Earth.” So it was never about Earth. It has always been about us. The choice of 22 April Earth Day came shortly after McConnell’s proclamation in 1970, the national event founded by the Wisconsin Democratic Senator Gaylord Nelson and co-chaired by California Republican Congressman Paul McCloskey. It started as an environmental teach-in and was christened “Earth Day” by its organizing committee, though Senator Nelson didn’t think that was the best name for it. For almost 40 years, Earth Day was celebrated both on the northern vernal equinox and on 22 April, each vying for public subscription until the UN threw in the towel in 2009, declared 22 April to be International Mother Earth Day. And what is it we’re supposed to do? According to the resolution, countries are “to observe and raise awareness of International Mother Earth Day, as appropriate.” So if we deem that dressing up as pandas, doing yoga, and composting in the name of Earth is appropriate – go for it! Environmental activism is critical in a world undergoing so much change, but Earth Day should celebrate Earth, not be an international day of declarations of environmental promise keeping. We all know the grim numbers: The World Wildlife Fund’s Living Planet Report estimates that there has been a decline by 40% in wildlife populations around the world since 1970; almost a third of global fisheries have collapsed since the 1960s; The Keeling Curve, which tracks atmospheric CO2 since 1958, shows we are heading towards catastrophic climate change; and a group of experts say that out of nine safe operating boundaries for Earth, four of them are in the red zone. It’s true, we’re better off today than we were before the Industrial Revolution in the sense that we all finally have enough to eat (though problems with distribution still mean that over 800 million people still go hungry), but the environmental costs have been staggering. Given the relentlessly depressing message of environmentalism, finding ways to make environmental action fun is important, so a globally coordinated network of environmental action is terrific, and 22 April is as good a day as any to do that. We should celebrate Earth as a unique, special planet that has been home to life for billions of years and brought us an astonishing diversity of species, from whales to wallabies, from flying foxes to flying fish, from photosynthetic bacteria to mushroom-bearing fungi; all told she has been the home to roughly nine million species who are our kith and kin. Like a certificate to a spa, start 10,000 restoration projects around the world to revitalize her aching systems. 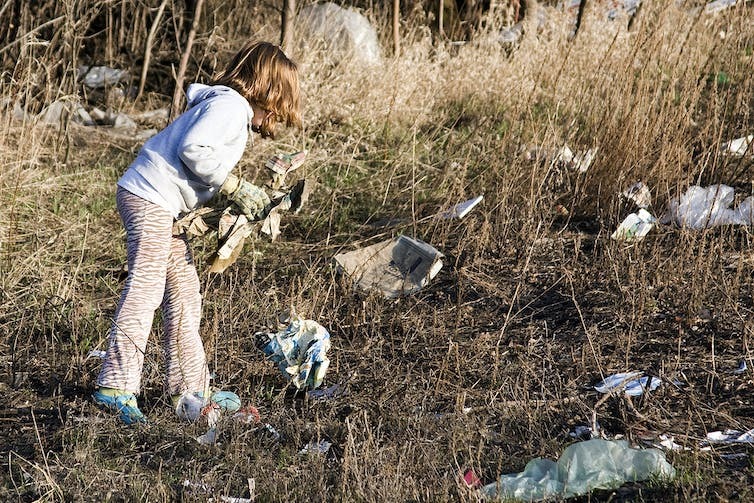 Earth’s Birthday shouldn’t be a global Spring Cleaning Day – a network of eclectic, minor cleanup, tree planting, recycling, or other events that make our lives better. It should be about joyous celebrations of Earth, with commitments to building new schools, museums, observatories, and other institutions that will uncover, cherish, and preserve everything there is to know about Earth. These are gifts that people can give to celebrate Earth, not ourselves.